Kathmandu’s rapid modernization is an extreme version of what is happening in many traditional societies. The many layers of the city’s development are reflected in the successive generations of its gods and goddesses, witches and ghosts; the comforts of caste; the ethos of aristocracy and kingship; and the lately destabilizing spirits of consumer aspiration, individuality, egalitarianism, communism and democracy. 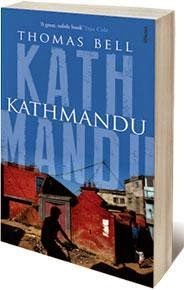 Kathmandu follows the author’s story through a decade in the city, and unravels the city’s history through successive reinventions of itself. Erudite, entertaining and accessible, it is the fascinating chronicle of a unique city. Thomas Bell was born in the north of England in 1978 and studied at Oxford and the Courtauld Institute of Art. After university he moved to Kathmandu to cover the civil war in Nepal for the Daily Telegraph, The Economist, and other publications. He was the South East Asia correspondent of the Daily Telegraph before returning to Kathmandu, where he lives with his family.